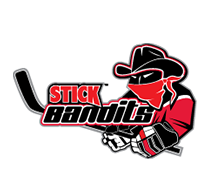 Create your personalized hockey stick shaft ID at Stick Bandits. Choose from dozens of colors, shapes and font sytles. Watch your stick shaft ID build in our preview areas before you submit your order to review exactly what will be printed. 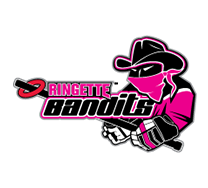 Looking for a custom team order - we can design that decal for you! Put your name and number on your hockey stick and one piece composite shafts Just like the Pro's do with a vinyl name ID decal for hockey sticks shafts. 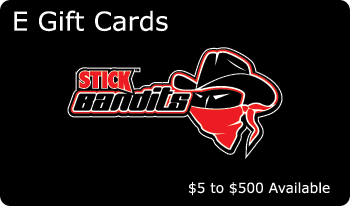 Your personalized hockey shaft vinyl decals are a great gift for your child. These name vinyl decals look like what you see on the pro sticks. You will be the talk of your team. 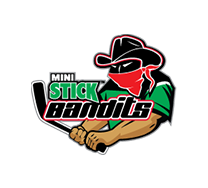 These custom personalized hockey stick vinyl decals will make you stand out of a crowd this upcoming hockey season. 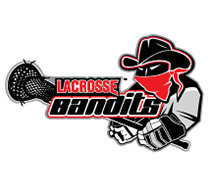 Create your team order online by uploading a logo and adding your player's names and numbers. Once your order is placed, we will also create a team ordering page for future team orders. 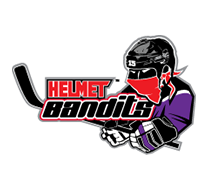 An ordering page specific to your team can be used to purchase any of our customizable hockey team products such as helmet logos, helmet numbers, stick shaft IDs, and car window decals with your team logo and colors.